Wedding Gowns are one of the most delicate and precious items you will have cleaned, which is why we offer the premium service you would expect when entrusting your dress to us. The trimmings, lace, beading and fabrics require the very best attention, which we are proud to offer via our skilled and professional cleaners. We have many years of experience dealing with all types and styles of Wedding Dresses. Pre-treating stains, cleaning and then finishing by hand are all part of a delicate and dedicated cleaning process. Heavy soiling on Wedding Dresses can occur during your special day but with our cleaning service you can confident of seeing the best results following our dedication to achieving the best results possible to the highest standard. "National Dry Cleaners have provided me with absolutely exceptional service over the last 17 years, since I first started my Bridal business. I have also been making use of their outstanding service on a personal basis for over 40 years. They have cleaned everything from my husband’s silk ties and suits, to evening wear and silk dresses. I can’t speak highly enough of their professionalism to every detail and the excellent care and attention they show to each and every one of my bride’s gowns. This has helped me to ensure that the aftercare service we offer for our gowns is second to none. They provide a friendly and amenable service to both me and my staff and I would not hesitate in recommending their services to clients, family and friends." 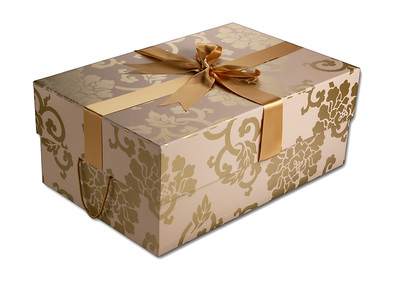 Our customers have been storing their wedding dresses and family heirlooms in our boxes for over 30 years! We also offer a basic lower priced boxing package for preservation and storage. Your wedding shoes are another big part of looking great on your Wedding Day. They can look ‘well worn’ by the end of the day. Whether you are thinking of wearing them again, storing them with your dress or even looking to sell them on, we can clean your wedding shoes with amazing results.